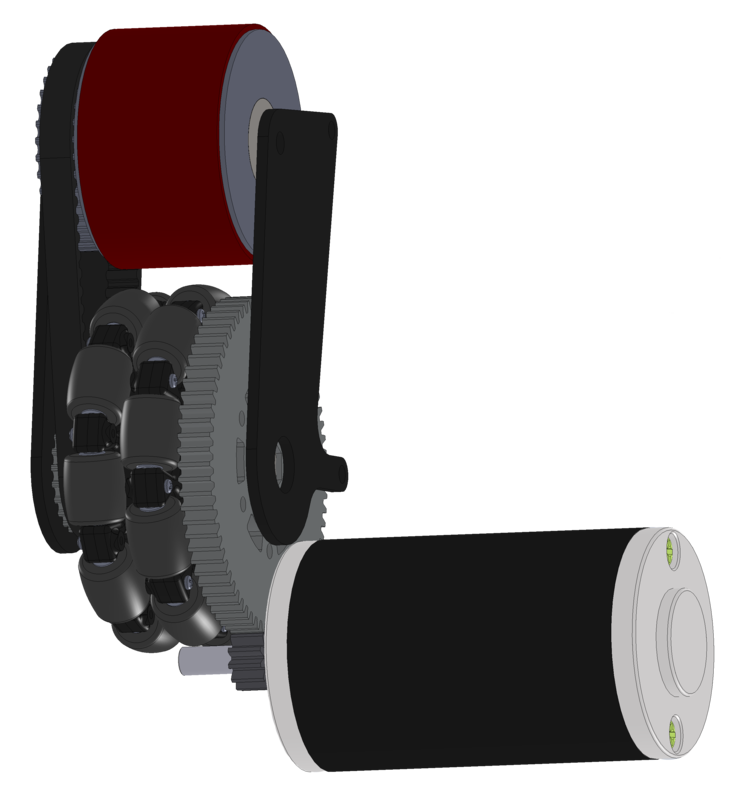 We can easily push mentors, pyramids, and other robots around while in traction-wheel mode. We machined all of the aluminum and steel components for the IBD module. 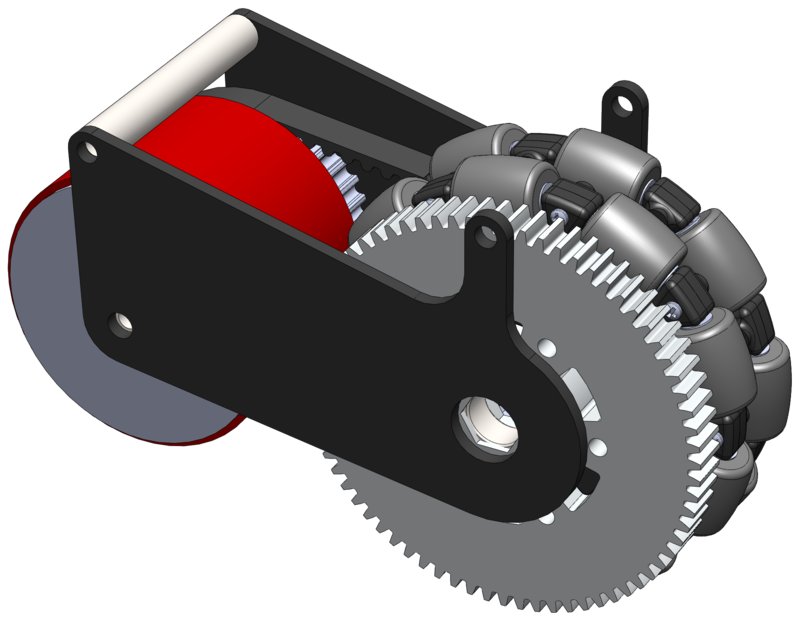 Our Innovative Butterfly Drivetrain system came about as a concept between our mentor Aren and his dad (Coach of 1625 Winnovation) based on 148 Robowrangler‘s 2011 Drivetrain. That great idea stemmed two similar, but distinctive designs. 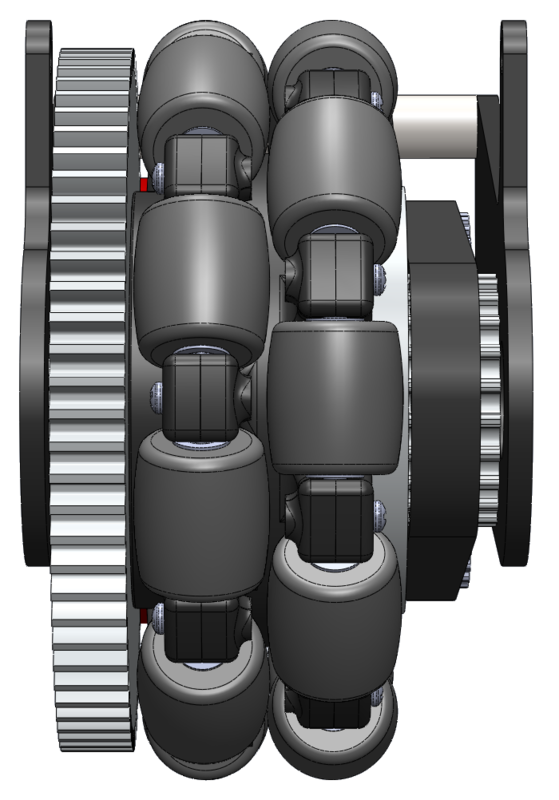 Our design uses a smaller cylinder and drives the traction wheel with a belt instead of a chain. 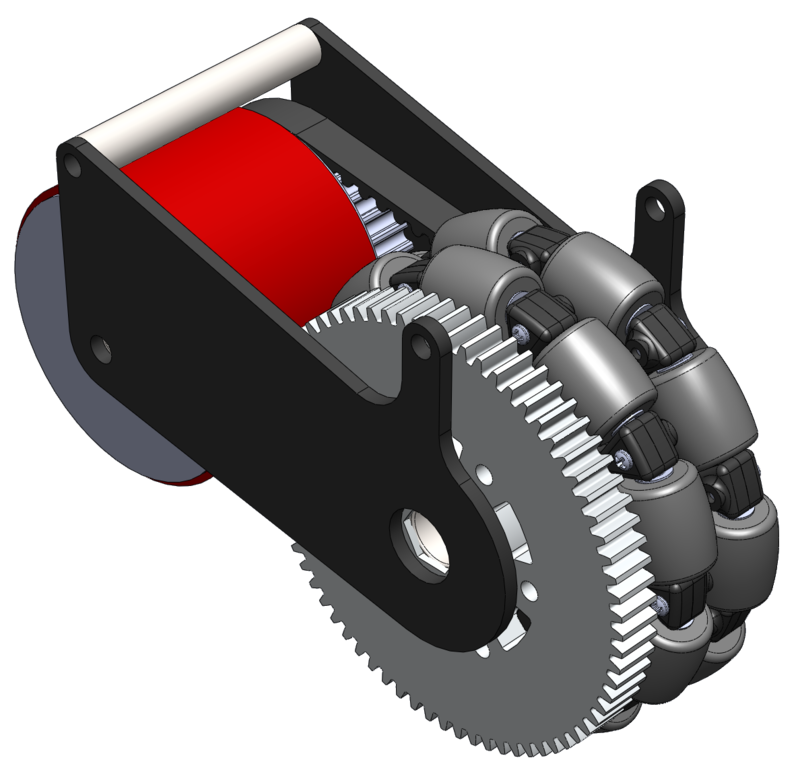 We designed and machined the omni-wheel belt mount along with the traction wheel, standoffs, axels, and module enclosures. Each module is easy and quick to change out, requiring removal of only 1 bolt & nut before the entire module can be dropped out and changed. 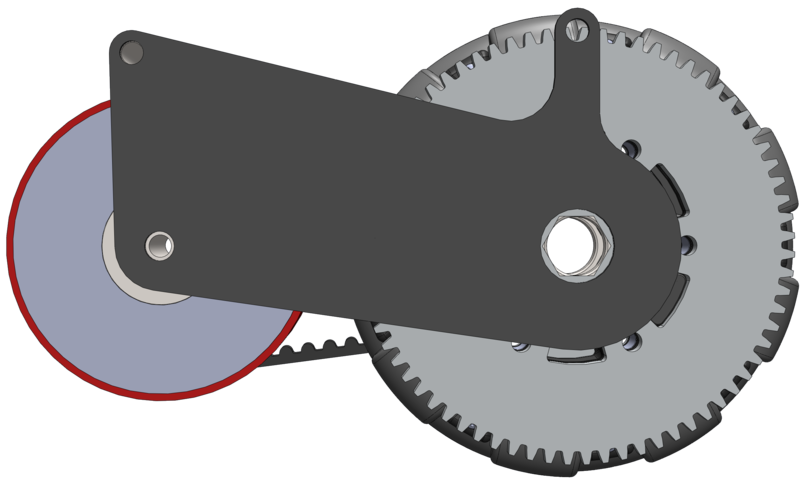 If you have any questions about our drivetrain, feel free to contact us.